Serving as a First Responder comes with many responsibilities. Ongoing training, grueling shifts, and increasing call volumes are only a part of picture. Per the CDC, the fatality rate for EMS personnel is 2.5 times those of other occupations¹. And according to a 2015 estimate, there are 241,600 full-time EMS workers². 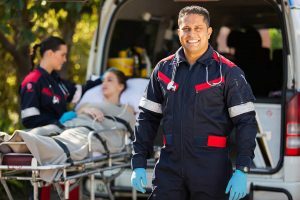 With the changing landscape of healthcare and new developing roles of EMS staff, exposure to injuries and illnesses can be expected to increase. Working in the prehospital setting, EMS crews are exposed to inclement weather, volatile scenes, contagious diseases, hostile patients and bystanders, vehicle collisions, and a host of other potential deadly scenarios. 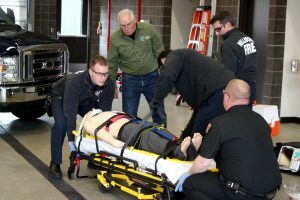 Awareness, preparation, and proper equipment are all tools that can help protect EMS workers from injuries. 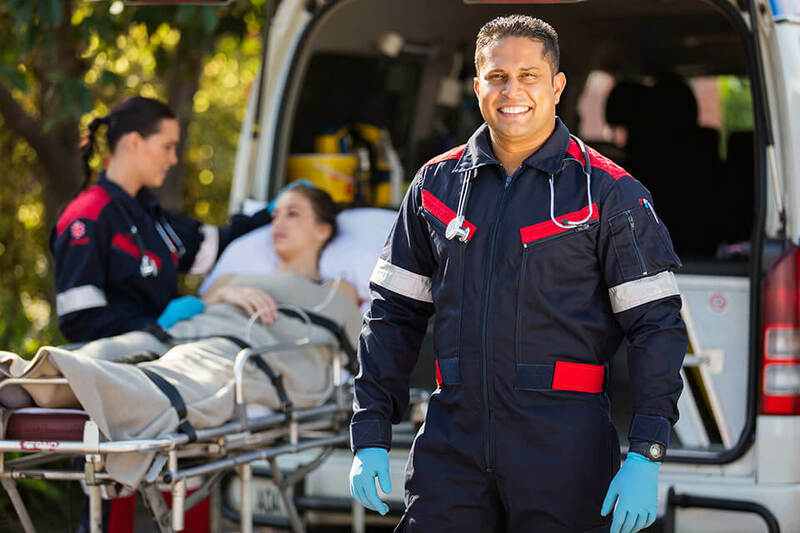 Open an EMT or Paramedic book and you will find a variety of carefully staged pictures that are used to represent scenarios EMS workers will encounter. But books and reality are too separate fields. An image on paper of a wreck scene on the side of a busy highway cannot fully convey the danger of extricating a patient from a mangled pile of metal, with snow falling and vehicles still rushing by. Hopefully all responders will use diligence and traffic will be momentarily stopped. That is not always executed however. Walking into a home for an unconscious patient and encountering an angry, intoxicated family member suddenly makes your job even more difficult and dangerous. Transporting a patient with a highly contagious illness, all PPE precautions in place don’t 100% guarantee you are immune from their disease. EMS is not an easy profession. The physical demands are intense and repetitive. Mental and emotional stress can cause physiological changes in EMS workers. Continued interrupted sleep has proven to cause a myriad of health issues³. Shift work places crews at odds with keeping up with family obligations and events scheduled on “normal” hours. Many EMS personnel work multiple jobs due to low pay and do not keep a regular sleep schedule. In EMS, there is no guaranteed lunch break. Food must be grabbed and consumed whenever possible. Some crews don’t have access to refrigerators, stoves, or even microwaves and are limited to what they can bring to work. Even crews with access to a full kitchen are not always able to eat the food they have brought. So, fast-food and gas station delicacies become a staple for many whose office is an ambulance. Although some departments are starting to move towards encouraging an active lifestyle, with some agencies even providing workout equipment for the stations, finding the time and energy to exercise can be last on an EMS workers list. This lack of regular exercise, poor sleep, and poor dietary choices create and unhealthy combination. from other facilities, such as primary care physicians, urgent treatment centers, or work-recommended clinics. Due to the large run volume and the tasks involved in EMS, it is really a matter of when, as opposed to if a worker will get injured. Let’s look at just some of the specific risks EMS responders can encounter on a shift. First, you have inclement weather. Pushing/pulling a stretcher over ice and snow is no easy feat. Time of day is a factor. It may be in the middle of the night when you get a call and have to function in limited lighting. The equipment needed on an ambulance is not light. Carrying multiple bags and monitors can be a prime moment to get an injury. People are heavy and oftentimes in very unusual locations. An EMT or Paramedic must get each patient, regardless of size or position, safely into the ambulance. Sometimes that takes a whole lot of work. Family pets can be a danger as they do not know you, your shoes carry the smell of a thousand other homes, and you are interacting with their owner. Exposures to illnesses and diseases are common. Bodily fluids may be all over the floor and the patient; patient care does not stop because there is urine everywhere. Fatalities on the job are a part of EMS reality. In the initial EMT training, scene safety is the very first thing EMT’s learn. Scene safety becomes literal second nature to those who successfully complete training. But scenes in a classroom are controlled; in real life, they are not. They are a fluid thing and one must stay aware. The largest factor in EMS related fatalities are vehicle related. Especially when working a vehicle crash, EMS workers are very vulnerable to other vehicles wrecking into the scene while they are working on a patient. Many agencies have implemented more stringent protocols to protect their employees. EMS is not for the faint of heart. Neither are any other First Responder occupations. There are programs that can agencies can utilize that will provide additional buffers for their crews. In regards to illnesses and disease exposure, agencies must provide the best available PPE to their crews and create a culture where using those items are the norm. Realistic protocols, applicable training, and crew feedback can make certain things as natural as putting on a pair of gloves. If the idea is well-established beforehand, crews are more likely to be prepared as opposed to finding themselves halfway through a run realizing they do not have on proper PPE. Another area that departments can influence change is with frequent drivers training. Creating realistic scenarios is much more important than making sure they can maneuver a line of tight cones. 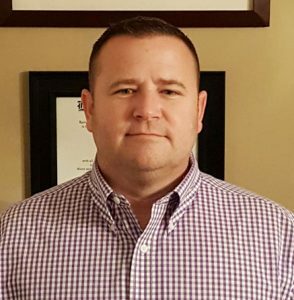 It seems that more stories are playing out of violence against EMS crews. Providing additional training on dealing with agitated individuals can help with any gaps in a crew members initial training. Working with other agencies, such as fire and law enforcement, on mass incident training is a very good way to provide your crews with the opportunity to deal with a chaotic and dangerous situation. Ask your crews what areas they feel need improvement, establish practical and effective protocols, provide realistic training, and always encourage your crews to stay alert. Remembering those first words taught in EMT class can truly be the key. Scene safety must always come first.